Hello friend, We are a weekly podcast hosted by PacingPete, Matt aka ImSalzy and Casey nerding out over their favorite TV shows, the latest movies out and the buzz about Comic Book Movie news! Also be on the look out for posts from our “Featured Blogger” Sarah Belmont as she breaksdown your favorite TV shows! This is Scene N Nerd! 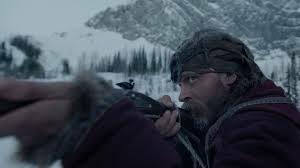 Emmy winner Cary Fukunaga follows up his True Detective (season one) run with this new Netflix original movie. Based Uzodinma Iweala’s 2005 novel, the story follows a young West African boy named Agu (Abraham Attah). After mercenaries kill his family, Agu finds himself under the tutelage of the African warlord, known as the Commandant, played by Idris Elba. The brutality of Agu’s circumstance mirrors Hushpuppy’s trials in the 2012 film Beasts of the Southern Wild. 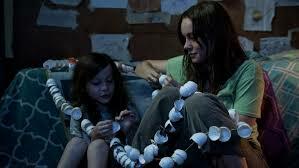 While Hushpuppy retained her sense of wonder about the world, viewers will observe the deterioration of Agu’s innocence. 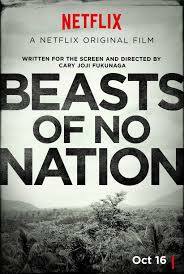 Beasts of No Nation will certainly be making headlines even before award season begins. 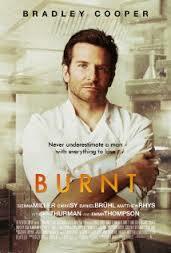 On October 6th, 2015 Netflix will release the film simultaneously on their streaming service and in select theaters. Hopefully, this unprecedented release schedule will not overshadow Fukunaga, Attah, or Elba’s critically acclaimed work in the film. 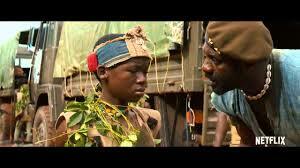 Attah has already won the Venice Film Festival award for best young actor. Time will tell if this young actor from Ghana will be in attendance at the next Oscars ceremony. 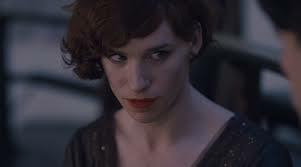 Academy Award winning director Tom Hopper (The King’s Speech) brings to life another period piece about one of the first known recipients of gender reassignment surgery. 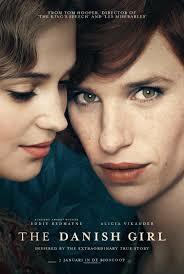 Set in Copenhagen during the 1920s the film stars Academy Award winner Eddie Redmayne as Lili Elbe, and Alicia Vikander (Ex Machina) as Gerda Wegener. The film focuses on the marriage between Gerda and Einar, before, during, and after Einar transforms into Lili. Based on the trailer it appears that Hopper tells this remarkable love story through a feminine gaze lens, with a captivating transgender nuance. 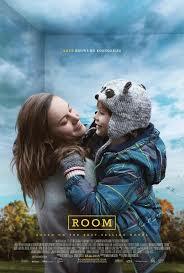 Critics have already screened the film at the Venice Film Festival and Toronto International Film Festival (TIFF). 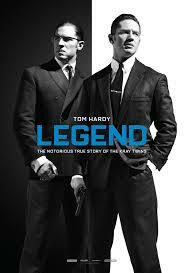 Many predict that Redmayne could be the first performer since Tom Hanks to win two consecutive Oscars for acting. 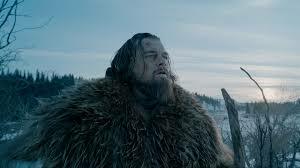 More notably though has been the critics’ reaction to Vikander’s performance in the film. Collider’s Adam Chitwood explains, “Redmayne is excellent, but this is Vikander’s movie.” Overall the film was received at TIFF similarly to Redmayne’s previous film, The Theory of Everything, praised primarily for its actors. 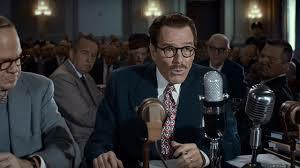 Remember, Bryan Cranston is, “the one who knocks,” and he is knocking on the Adademy’s door with his turn as blacklisted Hollywood screenwriter, Dalton Trumbo. 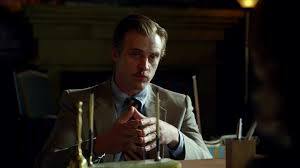 The film tells the true story about how he became a ghostwriter for various movies after testifying in front of the House of Un-American Activities Committee in 1947. 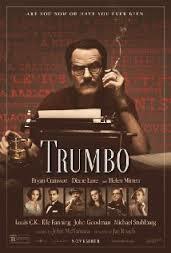 Dalton Trumbo would later be publicly credited for writing such films as Spartacus, Exodus, and Roman Holiday. 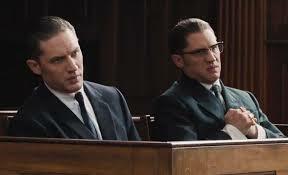 Based on the trailer, it appears that director Jay Roach splashes comedic color across this period piece, set during the black and white era of McCarthyism. Cranston’s performance is supported by a great ensemble cast that includes Helen Mirren, Louis C.K., Elle Fanning, John Goodman, and Diane Lane. 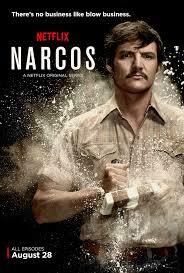 Narcos episode four, A Place in Flames, begins with Colombia passing a law for extradition. This means that in Colombia if you are found guilty for drug trafficking then you will be sentenced to serve your sentence in the American prison system. 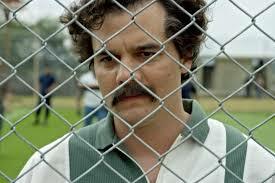 “Now Pablo had someone to fear…us,” explains Steve Murphy. The only problem is that while America declares their victory they proceed to set their sights on a new enemy, communism. 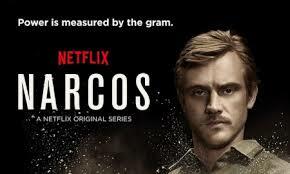 Murphy and Peña find themselves forced to take a step back from their present investigation on Pablo Escobar. 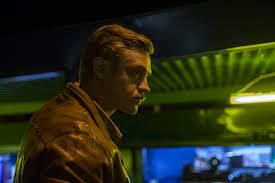 Then through the use of real life footage Murphy explains just how absurdly true this story is, “Colombian cocaine coming through a communist country and into America. 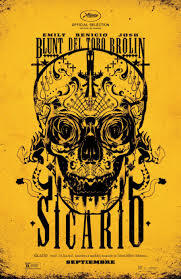 I couldn’t make that up…it’s too good.” Just like that, Murphy and Peña make the connection that will allow them to continue their investigation on the Medellín cartel. America may have won a battle when the law for extradition passed in Colombia, but for Pablo Escobar it only started a war. 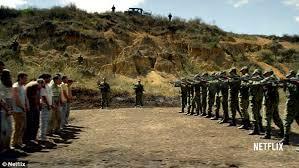 This war on drugs is primarily fought in the Colombian political arena. During the fifth episode’s opening scene, we see Luis Carlos Galán continue to run for president on a pro-extradition campaign platform. Galán never did become a Colombian president, as Pablo Escobar ordered a hit against him. In a well-crafted montage sequence we see just how devastating the assassination of Luis Carlos Galán was to the Colombian public. In his wake, the tragedy sparked the brave turn of Galán’s own speechwriter, César Gaviria, to pick up his predecessor’s fallen torch against the Medellín cartel. In a single episode we see a brilliant character arc. 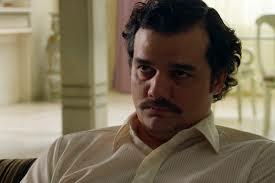 During the opening scene Gaviria is shown as the nervous man behind the curtain; in the end, he is the brave man standing at the podium; the new brave face of Pablo Escobar’s political opposition. 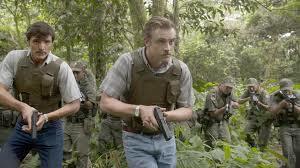 Explosivos, episode 6, contains three significant story threads: Colonel Horatio Carrillo’s (Maurice Compte) and Javier Peña’s (Pedro Pascal) manhunt for Pablo Escobar’s affiliate, José Rodriguez “Gacha” (Luis Guzmán); Steve and Connie Murphy’s mission to smuggle former M-19 solider, Elisa out of the country and Pablo Escobar’s assassination attempt on pro-extradition presidential candidate César Gaviria. 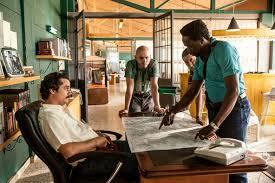 The manhunt storyline illustrates that there are not only American officials waging war against Pablo Escobar, but local officials too. Murphy’s Colombian allies are shown to be merciless as they gun Gacha down in cold blood. The Murphy mission thread reinforces the idea that Steve Murphy comes from the wrong side of the border. Only, in Colombia would he find himself s muggling a communist out of the country, an American act of treason. 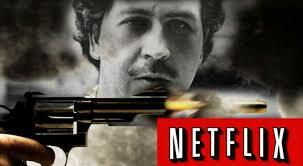 Meanwhile, the Pablo Escobar storyline subtly illustrates an all too familiar image of the past reflecting the future. In the final moments a young man aboard an airplane picks up his brief case, while the other passengers casually relax during the flight. He nervously opens up the case to reveal a cassette recorder, Pablo had instructed him to record the conversations of his fellow passengers. 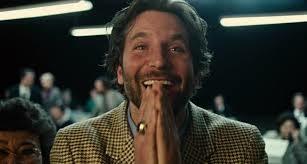 Then the young boy hits the record button and the screen dissolves to white, as an explosion cries out. 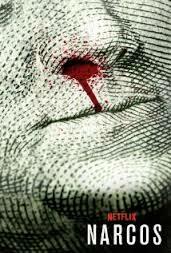 Narcos chronicles the Colombian war on drugs, yet during episode six’s closing sequence it parallels America’s present war on terrorism.